Has Anyone Tried The Cobrra Nemo Oiler? I am thinking of using an oiling device on my 2014 X that I am outfitting with a RR lvl 2 kit to ride the TAT either this year or the next. Has anyone tried the Nemo oiler? I have looked at the Scotoiler but not convinced which way to go or not at all. Those who have gone for an extended trip away from home please comment on how you kept your chain lubed. Re: Has Anyone Tried The Cobrra Nemo Oiler? Yes. I have one. In the past I've had a Scottoiler (OK, but I wouldn't pay for the electronic one) and a Tutoro (fiddly with the double feed and needed fettling regularly). The Nemo is the simplest to fit and from the state of the chains on the bikes works best. Very simple to use. If I had choice between the three again I'd go for the Nemo. It's an impressive piece of engineering. Where did you mount the Nemo? Can you post a picture? Hi - I have used a nemo on last 2 bikes also mounted on handlebars but I placed mine on left side so its easier to use while on the move. I did a 3500 mile round trip across to Italy in 2017 and took a 150ml spare bottle of gear oil just to top up as I knew with wet weather the oiler capacity wouldn`t last the distance. Well recommended. Thanks for the advice guys, I think I will try one. last time I checked, the standard V scotoiler won't work on the X due to the absence of a vac port....I wouldn't pay for an electronic one...best left to the GS owners with share options in Wunderlich. 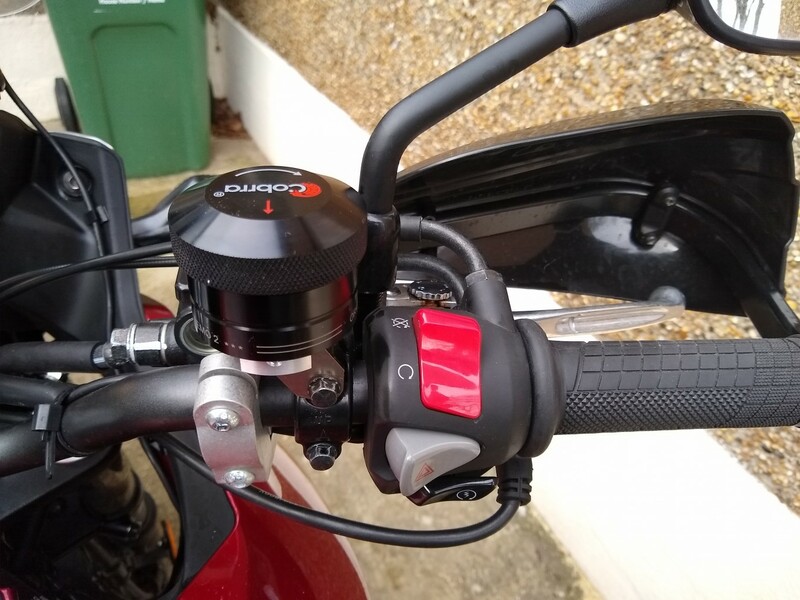 If you're doing more involved off road riding I'd advise against the tutoro....it's a great little oiler for a road bike (have one on mine, zero issues), but I'd go for a handlebar mounted, or something you can bury under the seat. The Nemo seems expensive for what it is, but it's a nice design and has to be well engineered to work properly. I just started looking at solutions for this as I had to replace chain and sprockets after a whopping 4300 miles (heavy handed and not too active on the lubrication front) and the nemo looks like the nicest solution. Mister Paul, could you add some pictures on how you hooked it up to the swingarm and how close you have the tube to the chain/sprocket? Thanks! I'll try and do that later.